If the nobleman is not God, and the story is not about productivity, what exactly is going on in this parable? The preceding story sees Jesus meet Zacchaeus, a man who commits himself to giving a great deal of his wealth to the poor. Jesus uses this as an opportunity to explain that salvation belongs to Zacchaeus not because he is a Jew, but because he embodies the compassionate ethic of the kingdom of God (outlined throughout Luke). As a tax collector Zacchaeus’ money would have been gained by aiding the Romans in collecting tribute and taxes from the local populace. By promising Jesus to redistribute the wealth amongst the poor Zacchaeus was setting himself up for a bad meeting in the future, one where a Roman superior would ask him where all the money had gone. Zacchaeus would have no option but to admit he had redistributed the money to the poor. 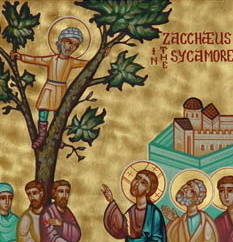 Given the ruthlessness of the Roman authorities this would not likely go well for Zacchaeus. Following this episode the text explains that the crowd around Jesus think that the kingdom of God would come imminently (19:11). This may be because they had overheard about and misunderstood the salvation that had come to Zacchaeus (19:9-10). No doubt they thought this implied the violent overthrow of the oppressive Romans. In response Jesus tells the Parable of the Ten Minas. If Jesus is speaking to a crowd who are looking forward to the coming of the kingdom of God and the overthrow of the Roman Empire, surely it is obvious that the nobleman, whose citizens hate him, refers to Rome, and in particular Caesar. The crowd long for the “nobleman” to be destroyed. Perhaps the crowds, listening to this parable, would have been thinking that the next step in the story was for the nobleman to return from his trip only to be overthrown by his citizens. Jesus instead adds an important twist. The nobleman returns from his trip to address his servants. He had endowed them with one mina** each and he expects that they will have made a profit. The first servant, from his one mina, has made ten more. Can you imagine that? He has made a ten-fold profit! How is this possible? Jesus’ audience would have known that in first century Palestine to be rich invariably meant exploiting others through mechanisms such as land foreclosure or charging interest, actions not looked well upon in the Old Testament. This profit was dirty money. The second servant, also from one mina, has made five. Like the first servant his money is ill-gotten. Both servants are given power over cities as a result of their actions. 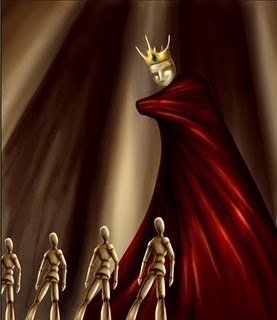 They have benefited the rich nobleman, and now they themselves benefit, becoming powerplayers in his oppressive kingdom. Does this not remind you of the imminent fate of another character, namely Zacchaeus? Remember that he will have to face up to a Roman overlord sooner-or-later with the news that he has made no profit. The nobleman reacts furiously, condemning the third servant. “You should have at least put it in the bank,” he says, “so that I could have collected interest!” Keep in mind that interest was forbidden in the Old Testament – the nobleman expected his servant to act unjustly. In the conclusion of the story the mina is taken from the third servant and given to the first, most productive servant. It is said that he who has will be given more, while he who lacks will will have even that taken away. Finally, the citizens who spoke against the nobleman at the start of the story are set up to be slaughtered for opposing their ruler. The ending of this story is anything but happy. Nonetheless it teaches the overly optimistic crowd a lesson – the kingdom of God will not come as you think. The Roman Empire will not be imminently overthrown. In fact it will continue to wield power in a bloodthirsty manner. More than that, good people who seek to do justice, like Zacchaeus, will be punished by this and other evil regimes. In his commitment to serving the poor and redistributing wealth Zacchaeus will likely experience the wrath of the violent and powerful. In addition those citizens who protest the rule of Caesar will be slaughtered, as happened countless time in Roman history (and as happens today in our world under imperial powers). This is Jesus’ prediction; he is being a realist – the inauguration of the kingdom of God does not protect disciples from harm and death. For Jesus the kingdom would not come in its fullness imminently. His people would continue to undergo the condemnation of the ruling powers for choosing to follow him and stand against evil. We must remember that for many Christians this continues to be the reality even today. We in the West do not really understand the nature of persecution, nor do many of us stand against evil in any significant way. But all across the world disciples of Jesus continue to be abused, raped, maimed and murdered for their commitment to justice and God’s kingdom. Despite the demise of the third servant we are meant to imitate him (even in spite of preaching that asserts the contrary). More obviously we are meant to imitate his equivalent, Zacchaeus, in self-sacrificially giving to the poor, redistributing wealth, and protesting evil and injustice. As I have said before it is a telling indication of the perspectives of Western Christians when they assume the rich, unjust nobleman is meant to represent God – we interpret the Bible in ways that support our radically wealthy, profit-hungry lifestyles. We must rethink the way we read the Bible, particularly the parables, lest we make them the opposite of what was intended and distort the message of Jesus. Note: This reading of the Parable of the Minas in Luke 19 has been articulately outlined by Brian Walsh and Sylvia Keesmaat in a presentation at the Wheaton College Conference in 2010. The mp3 can be found here and the video here. Brian and Sylvia will be appearing at TEAR Australia’s National Conference from July 6-8, 2012. Check the TEAR website (www.tear.org.au) for details. * The more popular version of this parable is found in Matthew 25. I have heard it said that this parable, which has talents instead of minas (both monetary amounts) is speaking about literal talents, in the sense of skills. This misunderstanding leads to an even stronger belief that this parable is about productivity – use your talents well or else God will punish you. ** Approx. three months wages for a labourer. Posted on January 10, 2012, in Biblical Studies, Economics, Hermeneutics, New Testament, Q&R and tagged Jesus Parables, Kingdom of God, Luke 19, Parable of the Minas, Parable of the Talents, Roman Empire, TEAR Australia, Zacchaeus. Bookmark the permalink. 5 Comments. Thank you for helping me see this parable from a different perspective. I had always been uncomfortable with certain parts of the scripture, namely with how harsh and unjust the nobleman is portrayed if he is suppose to represent God…. But figured I just needed to work harder to please Him. Oh the burden we bear under wrong understanding! I shared this post on Facebook. Below is one of the comments I got. how would you respond? Thanks for the opportunity to respond to this. The person is correct in saying that, “The Roman system of taxation relied on contractors, who had an incentive to ramp up the rates to extortionate levels to accumulate wealth themselves.” Some scholars call this tax farming. However there is no clear reason that I can tell to make the jump to the next point. Zacchaeus certainly gave half his own wealth, and this is stated. But the source of the fourfold repayment for defraudation is not stated to necessarily come from Zacchaeus’ own wealth. In fact I would find this hard to believe. For Zacchaeus to give away half his wealth, and then also to insist on repaying fourfold any dishonest gain, to me signals a serious financial situation for the toll collector. Keep in mind that, as Bruce Malina and others have shown, to have a surplus of wealth was generally seen negatively in ancient Mediterranean societies, since social harmony was more important that personal gain – ‘if you are rich you have cheated others to get there’ would have been the dominant sentiment amongst the poor. For Zacchaeus to have surplus wealth means cheating was previously a regular aspect of his activities, at least in the eyes of the poor. Add to this the reputation of toll collectors for widespread defrauding in different texts (they outbid competitors for the position by promising higher profits to Rome, suggesting Rome’s “cut” was not concretely set). 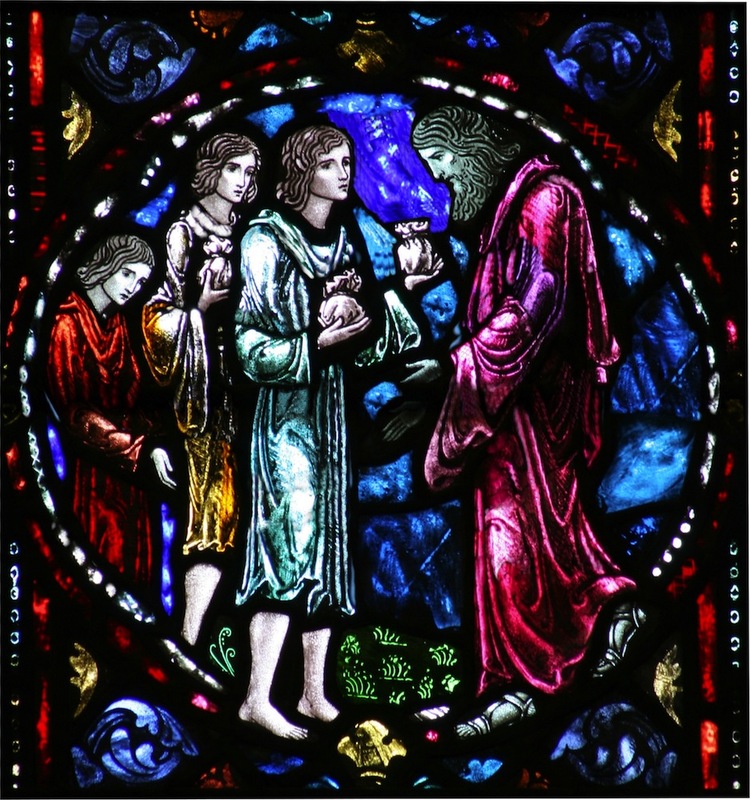 Given Zacchaeus’ less than favourable social reputation, it would seem that he was a cheat and has much to repay. He has already given away half his resources, and it is likely these repayments will affect more than his own wealth, maybe not immediately, but certainly in the future. But this is in some ways beside the point. We look at the story through contemporary eyes and think that Zacchaeus is simply giving charitably. This is not the case. Throughout Luke Jesus has already made clear his commitment to challenging unjust systems and not merely giving alms (indeed it is in his ministry program; 4:18-19). Zacchaeus, as a genuine “convert” of the kingdom is implicitly committing himself to this mission – the withholding of money from authorities is not merely an unfortunate circumstance, it is a subversive commitment from the toll collector. This is the same with the third servant in the following parable, hence the equating of the two characters. Hope that goes some way to responding helpfully. Thanks for your thought on this one. I have been really enjoying your blog. I would like to hear more from you about how to read this parable in the context of Matthew 25; situated as it is in the midst of multiple parables exhorting the disciples to be always prepared for when the Lord might return, and not to be caught slacking. It’s easy to see from that setting how the popular interpretation came about. but could charge foreigners. How does that fit in here? Thanks for your compliments. I have been asked by a few people to turn my attention to Matthew 25, and plan to do so in the near future. You are right in what you say about interest. The actions of the first two servants may well have been seen to imply the charging of interest, though obviously this is debatable. If so, their actions would have been seen as directly contravening the ideals of covenantal existence.